Can you answer these 10 questions"? Is quality and service a higher priority than price? Do you want to bring your dream kitchen to life? Do you know exactly what you want, you just need a visual representation of it? Do you have very specific requirements for your kitchen? Do you have a peculiar shaped room or difficult dimensions to work with? Do you prefer a personal-touch opposed to cookie-cutter? Do you want to have full control over the finer details? Do you like quirky designs rather than your average, simplistic kitchen layout? Do you want to have the assurance your kitchen is being handled by a close team of professionals? If you have answered yes to the majority of these questions, we’re sure that a tailored kitchen is the perfect fit for you. A question most people ask is how much does a bespoke kitchen cost? Well, the cost is pretty undefinable. Honestly, you can expect it to be more expensive than your average Ikea kitchen. 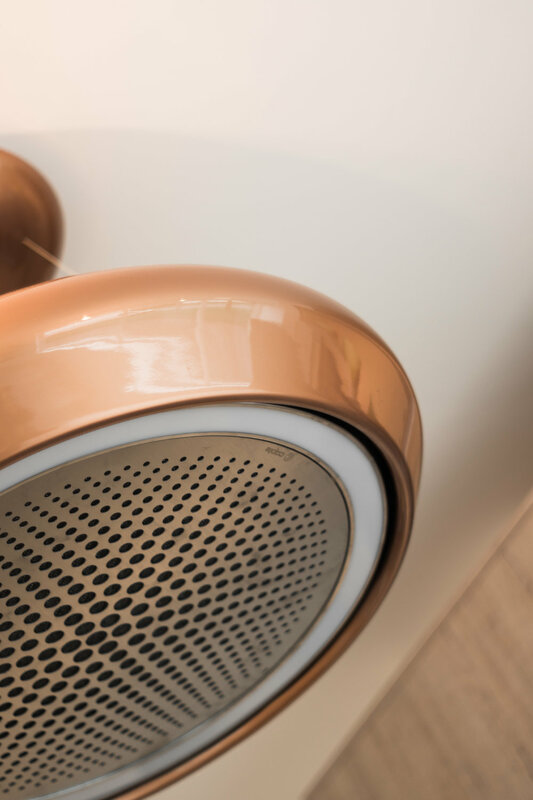 However, you are certainly getting far more for your money as the price is truly reflected in the beautiful, hand-made pieces, the longevity of the fittings, and quality of the overall finish. Don’t just furnish your home, love it! Talk to us about getting true value for money. 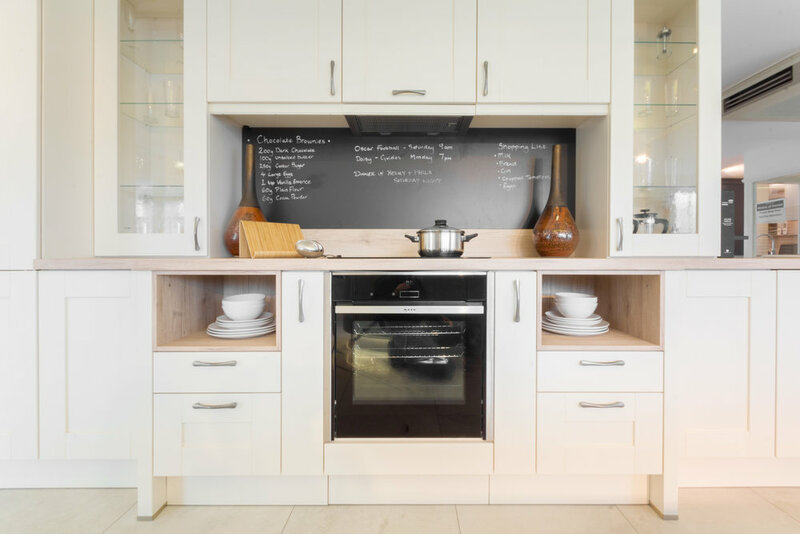 We’ll help with the second most popular question we get asked… how to get a bespoke kitchen on a budget? 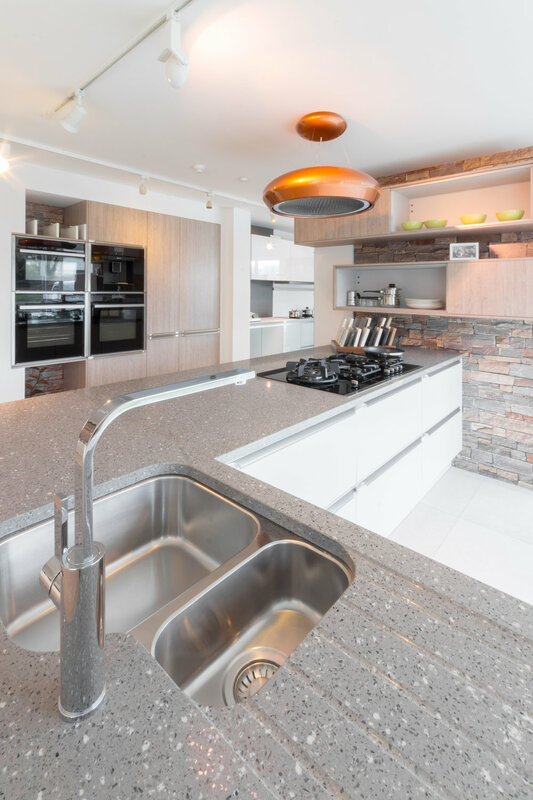 Choosing a bespoke kitchen, means you have complete control over the style, colour and materials used, allowing you to create a unique place that truly reflects your personality. 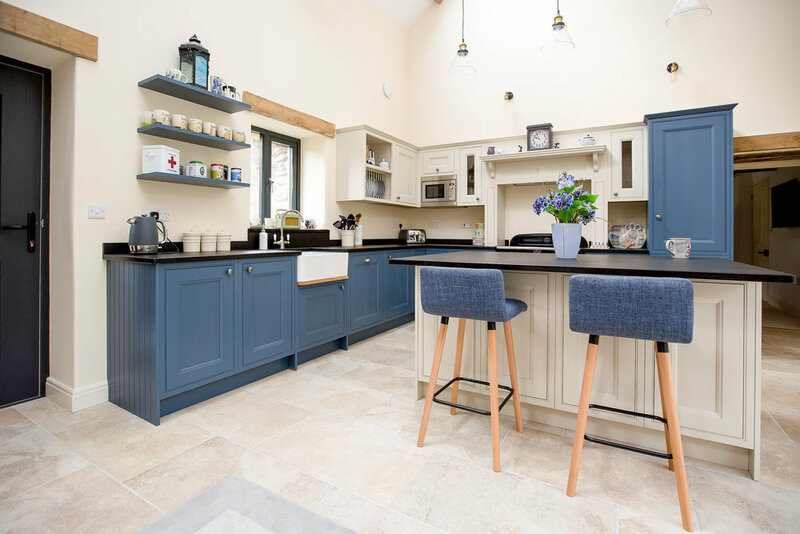 As different homes have different styles, your kitchen would need to follow the same scheme of the house and our hand-built kitchens allow you to make no compromises and only have the things YOU want. Bespoke kitchens can be perfect if your room is a peculiar shape, with strange dimensions as every piece is tailored to fit your exact needs. However if you’re on a low budget and your room is of a standard shape and size, you may consider buying an off the shelf range as an easier option. Our custom-made kitchens can incorporate any different style, whether that be modern, traditional or shaker. A hand-built shaker kitchen will include minimalistic designs, presenting a beautifully understated, sophisticated kitchen. A traditional bespoke kitchen will focus on detail in all areas, with themes of country, rustic and old world being portrayed. 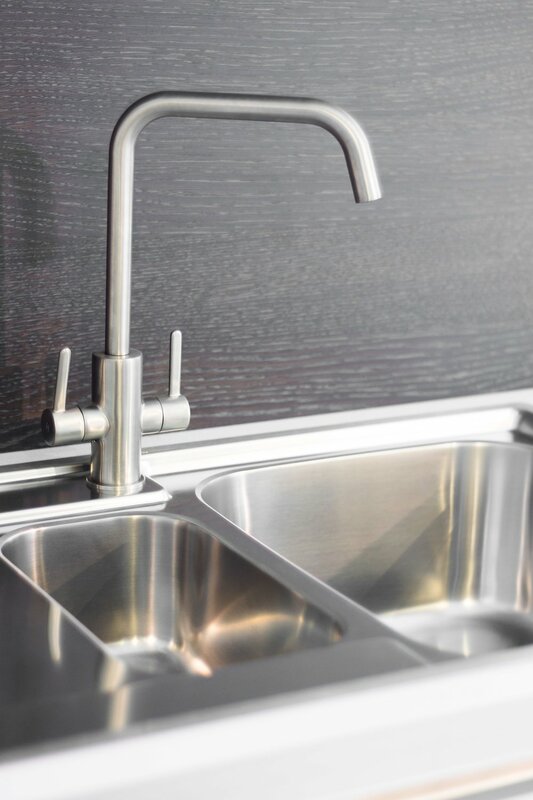 A custom-made modern kitchen will have a sparse sleekness, with simple hardware and strong horizontal lines. The types of materials we use vary depending on the look and functionality you are trying to achieve. 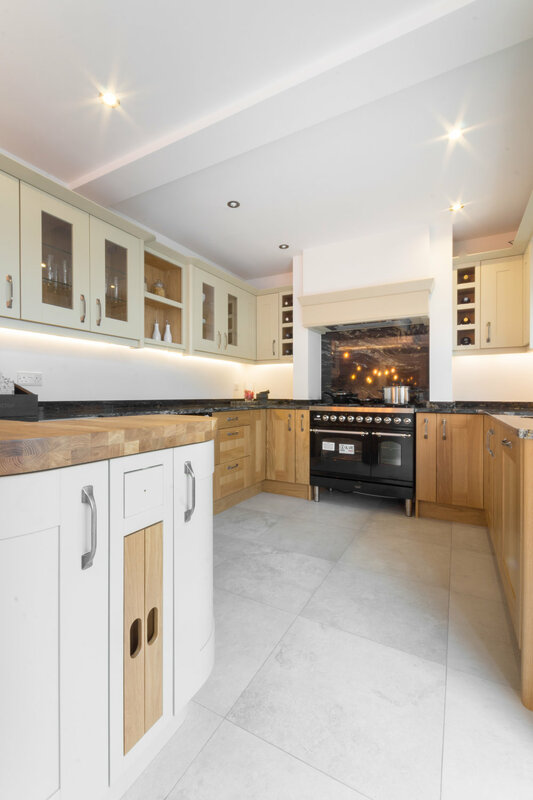 Some of the more popular choices are solid oak for cabinets and granite or glass for work surfaces, however the options are endless and of course entirely up to you. 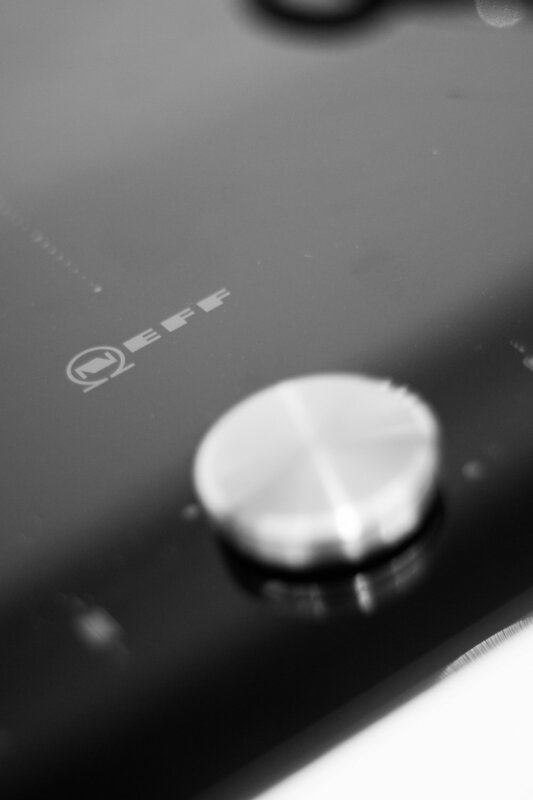 We work with only the best partners and suppliers including Neff, Caledonia, Kohler and Blanco to name only a few. Choosing a kitchen style depends on a number of things such as your taste and the current age/style of your house, as if your home is ultra-modern, fitting in a traditional kitchen will not tie in. 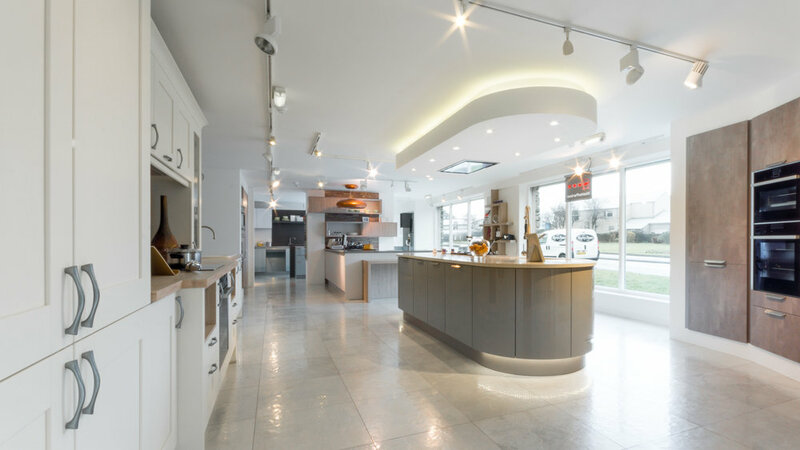 These are all important factors that you must consider when choosing whether a bespoke kitchen is for you, so we can create the kitchen from your visions. Striving to continue the family tradition of promising each and every customer a tailored service, Webbs of Kendal has been a family run business since 1926. Visit our showroom on the edge of the Lake District. We can bring showroom design consultations to life - presenting you with 3D computer generated plans with specific quotations.